This entry was posted in Education and Communication by GlenDavidson. Bookmark the permalink. You’d think that flat earthers would buy a couple of weather balloons and a couple of adequate cameras to look for the purported curvature of the earth (some may have, of course, but one doesn’t seem to get reports of it). How much would that cost? Are they afraid of doing so? Of course it’s much easier to view things disappearing over the horizon, or seeing cities and mountains partly “submerged” when viewed across the water. But, to be fair, I wouldn’t put all of my trust into one type of observation like that (couldn’t refraction or something else be responsible? ), so I could at least understand why they might want to actually see earth’s curvature (assuming a vast conspiracy making NASA and everyone else untrustworthy). So just go do it, skip the rockets (flat earthers seem to want rockets–well, who doesn’t? But they’re unnecessary), weather balloons should be cheap enough for any decently-sized group of flat earthers. Again, though, it’s back to psychology. I suspect that some have done it and didn’t admit the apparent curvature, but I also suspect that many others just won’t do it for the same reason that IDists won’t look for a consistent pattern of intelligent intervention in organisms–they fear what they’d find. I’d say follow the money. There are plenty of blogs and forums where people with like priors can hang out and scoff at those who do not share them. … or that, in the age of the internet, Flat-Earthers chatting on-line from different parts of the world would have noticed the issue of time zones. If you’re a wing-nut who lives in New York, simply ask a fellow wing-nut from Melbourne what time it is there. The fact that it is noon in New York when it is 2am in Melbourne would seem to warrant an explanation that doesn’t fit well with a pizza-shaped planet. RoyLT: … or that, in the age of the internet, Flat-Earthers chatting on-line from different parts of the world would have noticed the issue of time zones.If you’re a wing-nut who lives in New York, simply ask a fellow wing-nut from Melbourne what time it is there.The fact that it is noon in New York when it is 2am in Melbourne would seem to warrant an explanation that doesn’t fit well with a pizza-shaped planet. Oh yes, definitely a good point. When I occasionally deal with flat earthers I don’t typically bring that up, though, because there are ad hoc models that supposedly take care of time zones. Now I know that the linked model is transparently ridiculous, as well as being ad hoc, since the sun would never actually set on that earth at all, at most becoming rather low on the horizon. I’ve seen at least one model, though, that has blocking slats in order to stop the sun from reaching some parts, and while it still doesn’t work (you wouldn’t get a sunset on the horizon), at least it’s not quite as bad as one that has no blocks at all. I mean, there are always ways of trying to fix all of the problems, and it can get involved discussing these issues, which is why I tend to avoid the time zone issue (and I bring it up as a kind of warning that one can end up down a rat hole with bizarre fixes). Of course, I have no idea why the sun is supposed to be endlessly circling through the sky over the flat earth anyway, it’s just a strange little “fix” that they’ve hit on. So yes, it’s a good point, just don’t expect them to see it that way. To be sure, they likely won’t see any good point as a good point, I’m just saying is that there’s a greater chance of ending up in complex convolutions over time zones than on some other matters. Was your comment addressed to me, Mung? Could the flat earthers be nothing more than a creation of a NASA conspiracy?? Yeah, They are. Is this going to affect you in any way? Are you going to ponder? I’m planning, rather, to empond. GlenDavidson: I’m just saying is that there’s a greater chance of ending up in complex convolutions over time zones than on some other matters. That model is completely hilarious. I have only had the misfortune of interacting with 2 confirmed Flat-Earthers over the past several years and the topic of time zones didn’t come up, mainly because I was too busy being shocked at the sheer stupidity of their position. Thanks for the warning though. And from the content of the OP, I agree that the similarities between different fringe pseudoscientific positions is quite interesting. In particular, Flat-Earthers, Climate Change Deniers, and Holocaust Deniers all share nearly the identical delusion of a worldwide conspiracy with unlimited resources and surprisingly inane goals. Whenever i read about the boring concept of folks who believe in a flat earth IT ALWAYS seems to me just a lame attempt to unite that group nwith anyone who disagrees with some dogma in the establishment. Science is all about getting things wrong and then getting them right or righter. Its not about the flat earth but it is about creationism. ID/YEC. In fact evolutionism is more likely the enduring error like flat earthism. both can;t get out of convictions. Where’s the Curvature of the Earth? None of You Can Debunk This Video! I hope you can see why people fall for this. J-Mac: Was your comment addressed to me, Mung? No, it’s addressed to the OP with it’s poisoning the well fallacy. You would think that these brilliant and oh so logical “skeptics,” like Glen, would know better. Yes, I’m aware that they’re on about fisheye lenses, and airplane windows that supposedly make the horizon look curved (don’t know if that is true or not), but there is a number of them that proposes rockets in order to do their own tests. That’s one reason I like them better than creationists/IDists. Mad Mike Hughes supposedly is trying to make a rocket to see if the curvature is there. B.o.B. also raised money for a rocket launch, although I believe the funds were frozen for a while, at least. They could use their own cameras, of course, to get around the unwarranted claims that it’s all faked. Now I’m not sure if the rockets themselves aren’t their major interest (Mad Mike got a lot more donations when he claimed to be a flat earther), but many of them do think that they could do a proper test themselves. So why not an acceptable camera and a weather balloon? There are quite a few possibilities for arguing with flat earthers. They could try to explain the cyclonic and anticyclonic effects found above and below the equator. 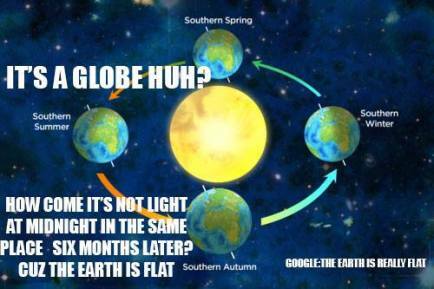 I read one flat earther who claimed that if the earth were a sphere, a few different stars would be in the sky each night (at least at a specific time), as if that weren’t the case–but of course it is. Why didn’t those in the Northern Hemisphere get to see Supernova 1987a, and why don’t they ever get to see the Large Magellanic Cloud in which it shone? The truth is, I don’t really argue with them (I did respond to a posted email on one forum, but he never commented there), but I do think probably the best thing for them to do would be to try to do acceptable science themselves. Trouble is, they’re often unaware of what that is. Wouldn’t there be a much cheaper way to debunk a flat earth model than sending rockets into space? Why not book a couple of round-the-world trips on regular airlines? First, spend a couple of days to go round along an W-E small circle. Then, once you get back to your starting point, go round N-S along a great circle until you once more get back to your starting point. Draw a map of where you’ve flown over, and try to do that on a flat sheet of paper without the edges connecting back to each other. Can’t be done. GlenDavidson: So yes, it’s a good point, just don’t expect them to see it that way. To be sure, they likely won’t see any good point as a good point, I’m just saying is that there’s a greater chance of ending up in complex convolutions over time zones than on some other matters. Another experiment occurred to me. Going with the model in that link you sent, wouldn’t the apparent path of the Sun across the sky be completely wrong in the Southern Hemisphere? In the Northern Hemisphere (aside from the Summer), the Sun arcs Southward between sunrise and noon, and then back Northward until sunset. This is as it would appear given the Flat-Earth model due to the circular path of the Sun. But the apparent path of the Sun in the Southern Hemisphere is the exact opposite. The Sun arcs Northward from sunrise until noon and then back to the South until sunset. I can’t figure out a way to make those observations work with a Flat-Earth model. A time-lapse video (or even some compass-bearings) taken at roughly the same latitude in each Hemisphere on an Equinox would seem to prove the flat model untenable. Wouldn’t it? faded_Glory: Why not book a couple of round-the-world trips on regular airlines? First, spend a couple of days to go round along an W-E small circle. I’m not sure that this would prove it. For one, the staff of the ‘regular airlines’ are almost certainly in on the conspiracy. Also, we don’t really get to choose the paths taken on airline flights. Also, much of the Earth is covered with ocean and you would have a hard time always staying in the daytime. It would be impossible to map anything over an ocean at night. RoyLT: Another experiment occurred to me.Going with the model in that link you sent, wouldn’t the apparent path of the Sun across the sky be completely wrong in the Southern Hemisphere? In the Northern Hemisphere (aside from the Summer), the Sun arcs Southward between sunrise and noon, and then back Northward until sunset.This is as it would appear given the Flat-Earth model due to the circular path of the Sun.But the apparent path of the Sun in the Southern Hemisphere is the exact opposite.The Sun arcs Northward from sunrise until noon and then back to the South until sunset. 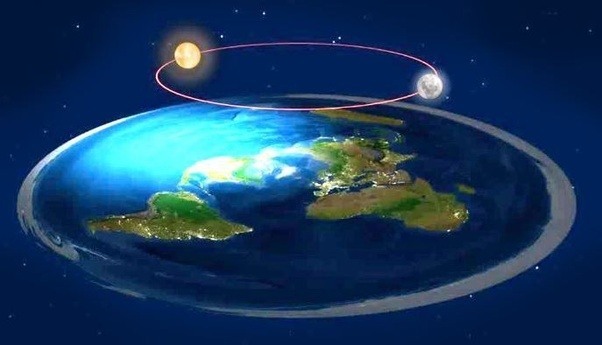 I can’t figure out a way to make those observations work with a Flat-Earth model.A time-lapse video (or even some compass-bearings) taken at roughly the same latitude in each Hemisphere on an Equinox would seem to prove the flat model untenable.Wouldn’t it? Libya is washed on all sides by the sea except where it joins Asia, as was first demonstrated, so far as our knowledge goes, by the Egyptian king Necho, who, after calling off the construction of the canal between the Nile and the Arabian Gulf, sent out a fleet manned by a Phoenician crew with orders to sail west about and return to Egypt and the Mediterranean by way of the Straits of Gibraltar. The Phoenicians sailed from the Arabian Gulf into the southern ocean, and every autumn put in at some convenient spot on the Libyan coast, sowed a patch of ground, and waited for next year’s harvest. Then, having got in their grain, they put to sea again, and after two full years rounded the Pillars of Heracles in the course of the third, and returned to Egypt. These men made a statement which I do not myself believe, though others may, to the effect that as they sailed on a westerly course round the southern end of Libya, they had the sun on their right – to northward of them. This is how Libya was first discovered by sea. Of course that brings up speculations that the Phoenicians (and others) might have recognized that the earth was a sphere (not Herodotus, it seems, even though many Greeks did recognize that earth is a sphere in his time). At least the spherical earth explained it, whenever and whoever first adopted it. But yes, it does seem strange that the clues that people recognized before Rome was an empire could be missed by anyone today who has ever crossed the equator from the northern hemisphere. Besides, toilets flush the opposite way in Australia (well ok, that’s nonsense, but their cyclones (to us, hurricanes) do rotate clockwise, the opposite of the north). There might be ad hoc “explanations” for all of differences, but if there are I can be quite sure that they’re fairly ridiculous. I’d still be interested to see how the Flat-Earthers account for that since it is a relatively easy thing to verify visually. Not sure that I’m willing to go to some of the more quacky blogs to find out. On a sidebar, anyone who was willing to chance the open ocean that long ago (Pytheas for example or your Phoenicians) had huge brass balls. I’m an amateur sailor and the idea of sailing even between nearby islands in the Caribbean with a modern chart-plotter and cell-phone is daunting for me when the weather isn’t perfect. I’d still be interested to see how the Flat-Earthers account for that since it is a relatively easy thing to verify visually.Not sure that I’m willing to go to some of the more quacky blogs to find out. On a sidebar, anyone who was willing to chance the open ocean that long ago (Pytheas for example or your Phoenicians) had huge brass balls.I’m an amateur sailor and the idea of sailing even between nearby islands in the Caribbean with a modern chart-plotter and cell-phone is daunting for me when the weather isn’t perfect. Not a satisfying answer, but it is one of the flat-earth “answers,” nonetheless. 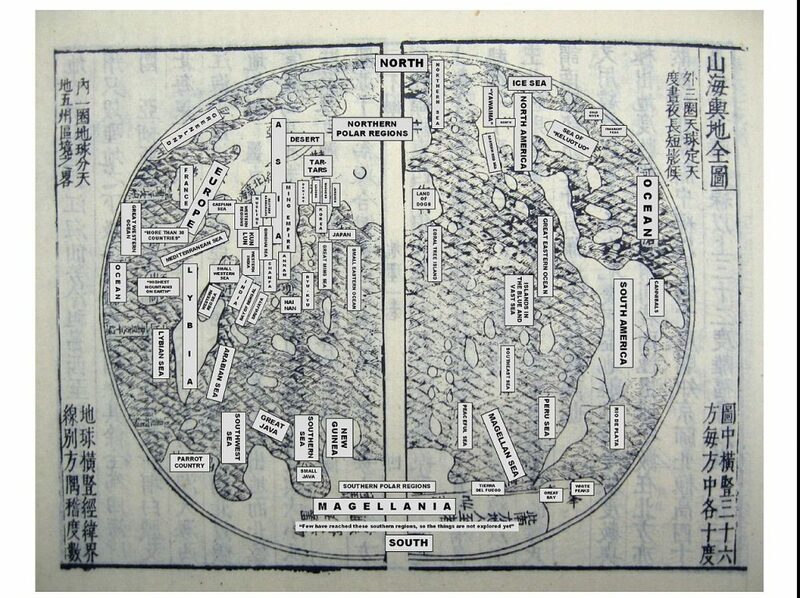 I thought it was fascinating to find out that China stuck with a flat earth until the 17th century, even though they’d been given a globe by a Persian astronomer in the 13th century. Jesuits finally convinced them in the 17th cent. by demonstrating superior astronomy using a spherical earth model. GlenDavidson: Well, to be fair, this model that I previously linked could explain why people in the “south” would see the sun to the north, and those in the “north” would see the sun to the south. That does explain the relative location, but it does not explain the curve of the path the Sun takes in the Southern Hemisphere. Not that I think any Flat-Earthers will be convinced, but it seems like a reasonable thing to hash out in case either of us ever runs into a Flat-Earther with basic skills of observation rather than just weird dogma. Let’s say you are staying on the Tropic of Carpicorn on September 21st. The Sun will appear very nearly directly to the East at sunrise and directly to the West at sunset. It arcs Northward between sunrise and noon as the 23.5 degree angle becomes more obvious. In the model that you linked (and any layout of a flat-earth that I can conceive of with my very limited imagination), that arc would be different because of the circular path of the Sun. In the Flat-Earth model, if you were outside of the path of the Sun (higher radius), the arc of the Sun’s path would start and end well to the North of where they are on our spherical planet. RoyLT: That does explain the relative location, but it does not explain the curve of the path the Sun takes in the Southern Hemisphere.Not that I think any Flat-Earthers will be convinced, but it seems like a reasonable thing to hash out in case either of us ever runs into a Flat-Earther with basic skills of observation rather than just weird dogma. Let’s say you are staying on the Tropic of Carpicorn on September 21st.The Sun will appear very nearly directly to the East at sunrise and directly to the West at sunset.It arcs Northward between sunrise and noon as the 23.5 degree angle becomes more obvious.In the model that you linked (and any layout of a flat-earth that I can conceive of with my very limited imagination), that arc would be different because of the circular path of the Sun.In the Flat-Earth model, if you were outside of the path of the Sun (higher radius), the arc of the Sun’s path would start and end well to the North of where they are on our spherical planet. Oh yes, quite agreed. I had mentioned the problem with the arc parenthetically, and then I decided to replace it with the light going a limited distance excuse, as I thought it an interesting way of causing “night” in their flat-earth model. Including both would be too much parenthetical info. Regardless, I do think it would be lost on all but the rarest Flat Earther, though. GlenDavidson: I had mentioned the problem with the arc parenthetically, and then I decided to replace it with the light going a limited distance excuse, as I thought it an interesting way of causing “night” in their flat-earth model. Including both would be too much parenthetical info. I’m still trying to digest how anyone finds that sort of model convincing. It’s like trying to walk a mile in another man’s Cognitive Dissonance. If the light from the Sun only travels a ‘limited distance’, how close must all of the stars in the night sky be to the Earth? Or is that a different kind of light? RoyLT: I’m still trying to digest how anyone finds that sort of model convincing.It’s like trying to walk a mile in another man’s Cognitive Dissonance. If the light from the Sun only travels a ‘limited distance’, how close must all of the stars in the night sky be to the Earth?Or is that a different kind of light? They’re not too far away. 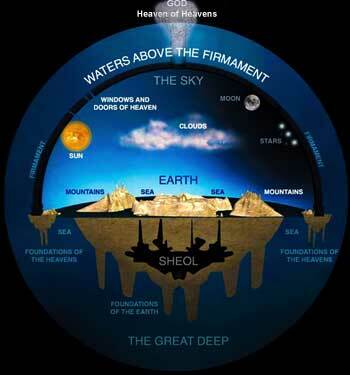 I think flat earthers tend to see the stars as being placed “in the firmament,” the dome over the earth, as Genesis implies. Then you have to guess at the shape of the dome, is it hemispheric, or much flatter? Here’s a thread that suggests that stars might be 3100 miles up, but I think that’s mostly non-flat earthers trying to come up with a figure. Many flat earthers see the sun and moon as being 3000 miles up, and the claim is that stars have to be farther away or they’d bump into the sun (not necessarily, but I think flat earthers do recognize that the moon passes in front of the stars). But if the stars are farther away than the sun, even a little, it does seem like part of the dome would be dark at night under the notion that the sun goes dark because light can only go a limited distance. I don’t see how they can get around your objection. I’m not sure how accurate this is, but it looks ok to me. One thing I wonder is how the sun moved back to the east in the Semitic system. For the Greeks, it had to be hauled back under the earth, so I’d suppose that the same likely happened in the Semitic cosmos. I realize that I kind of miss the cozy little cosmos of the early Greeks once the flat earth shows up again (I think this model is reasonably close to the Greek flat earth). GlenDavidson: One thing I wonder is how the sun moved back to the east in the Semitic system. For the Greeks, it had to be hauled back under the earth, so I’d suppose that the same likely happened in the Semitic cosmos. I’m purely speculating, but I tend to agree with your supposition since many significant portions of the Genesis narrative were clearly influenced by Babylonian mythology. When Gilgamesh travels to see Utnapishtim, he has to run through the tunnel which the Sun traverses at night as it returns to the East to rise. In that story the Sun appears to travel of its own volition though. RoyLT: In that story the Sun appears to travel of its own volition though. It helps if the sun is a god, which I believe it is for some. I wouldn’t want to meet the sun in that tunnel. I’m not a hundred percent sure how the Greeks thought the sun returned to the east. I assumed that, with Helios moving the sun across the sky every day, the sun would have to be moved under the earth as well. It seems reasonable. 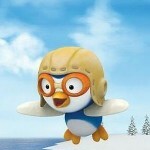 Like Roy noted, not so easy to do with commercial flights, although I like the idea. Or just book a flight from New York to Paris and time it, then fly down to Cape Town and then fly from there to Rio de Janeiro and find the flight time for that. On a globe, they’re roughly the same distance (the latter distance a bit longer), each with a small northerly direction. On disc earth, Cape Town and Rio would be much farther apart, probably two and a half times farther, maybe more. New York to Paris shows up as 7 hours and 25 minutes, Cape Town to Rio, 8 hours 3 minutes (total duration is longer, because it’s not non-stop). Or just look up the flight times for those and other comparable flights in the northern and southern hemispheres, and talk to people who have flown such routes. Either there’s an astonishing amount of effort made to make northern flights take much longer than necessary in order to cause earth to appear to be a sphere, or just maybe it is spherical. Also, their model also has the little problem that the Sun never drops below the horizon. Flat-earthers apparently appeal to refraction to explain this away (the Sun only appears to set…), but it is still the case that the path of the Sun through the Canberra sky is nothing like a circular path parallel to the earth’s (flat) surface. How do they explain the behavior of the moon in Australia? By my reckoning, when it is full moon in London, the moon should be C-shaped when it rises, “new” at midnight, and D-shaded when it sets. WTF? I love how all of these “new facts” appear as needed to save the flat earth. That’s why it’s a fun idea, it’s a kind of fantastical alternative to boring old reality. Physics changes, gravity disappears for most, refraction makes wondrous illusions, and there’s a huge conspiracy to hide all of that “obvious” evidence for the flat earth. While ID/creationism never gets past “evolution can’t do that, only Designer can,” a lot of flat earthers are at least trying to come up with answers, however naively. Am I imagining things, or is that a nod to Jon Oliver??? 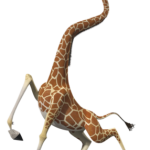 GlenDavidson: While ID/creationism never gets past “evolution can’t do that, only Designer can,” a lot of flat earthers are at least trying to come up with answers, however naively. I don’t think that the two are all that different at the end of the day, except that the stakes are so much lower for the Flat-Earther if they realize the error of their worldview. The ad-hoc explanations that people come up with (Ray Comfort comes prominently to mind) to make a literal interpretation of the Bible seem plausible are no less impressive in their absurdity than those of the Flat-Earthers IMHO. Both groups split their time pretty evenly between (a) decrying the anti-truth conspiracy of the wider scientific community and (b) cherry-picking findings of said scientific community that can be somehow rationalized as being in support of their position. But as I said earlier, I actually think that Holocaust deniers and genuine Climate-Change deniers (blue collar as opposed to Energy sector executives) have more in common with Flat-Earthers than YEC or ID do. At least Creationists believe that their eternal souls are at stake. The other groups are just arguing about something that has little immediate personal impact on them in their daily lives. That Moonraker site is hilarious. The explanation of stars is pretty conclusive as well: The Schumann Resonance and chemical deposits in ‘the dome’… I don’t think that I can argue with that. It is interesting that chemical deposits in the exact same spots on the dome have been lighting up so consistently for the last all-of-recorded-history or so. RoyLT: But as I said earlier, I actually think that Holocaust deniers and genuine Climate-Change deniers (blue collar as opposed to Energy sector executives) have more in common with Flat-Earthers than YEC or ID do. At least Creationists believe that their eternal souls are at stake. The other groups are just arguing about something that has little immediate personal impact on them in their daily lives. I think what’s interesting about that, though, is that many of other the conspiracy theorists really seem to think about the same as creationists do, despite there being nothing really at stake for them in the beliefs themselves. It makes me wonder if eternal souls really make much of a difference at all to the conspiratorial psyche, or if that’s mostly a starting point for certain conspiracy theorists (not that they don’t believe they’re defending their beliefs about life after death). Ancient Aliens remains popular, and it has all of the marks of conspiratorial thinking that creationists have. Defensive, heavy with confirmation bias, the sense that they’re the pure, open-minded ones, and the belief that they’re supporting something greater than themselves. While there are notions of the possibilities of an afterlife in the whole idea, there’s certainly no promise of it. The enduring promise seems to be more that they’re supporting the Greater Truth against a world that will not consider their superior ideas. Ancient Aliens is closer to being actual religion (a future utopia often being the hope), but many others (like those you mentioned) promise basically nothing except that followers will be “in the know,” unlike “conventional believers.” The flat earthers, moon landing conspiracists, chemtrails, none of those believers has any real promise of anything personally beneficial from their beliefs (with maybe a few exceptions), but they’re about as fervent and denialist as anyone at UD is. I think it’s fair to say that creationists/IDists generally begin their denialism and conspiratorial thinking with religion, but after that they seem remarkably akin to those who simply wish to believe in something greater than themselves that supposedly is being suppressed by “mainstream scientists” and the rest of the conspiracy. You’d think that the issue of eternal life was what made people so intransigent and unwilling to consider what the evidence indicates, and yet a whole lot of people are little different from the religious conspiracists when there is nothing material (or an immaterial soul) at stake for them. I think physicists believe in something greater than themselves. What is annoying about religion is the tendency of religious people to use coercion to get other people to believe. Actually, it isn’t just religious people. Coercion is the problem. petrushka: What is annoying about religion is the tendency of religious people to use coercion to get other people to believe. True, it’s hardly just religious people. But it does seem that few conspiracy theorists besides the religious have both the intent and the power to make a credible attempt to have their ideas presented as science in schools. That said, at least some of them might try to do so if they had enough political clout. I certainly wouldn’t be surprised if flat earthers would try to have “the controversy” taught in science classes. I doubt that they ever will have that much political power, though. I do wonder if ancient alien “theorists” might try to have their ideas taught if they reach critical mass. GlenDavidson: True, it’s hardly just religious people. But it does seem that few conspiracy theorists besides the religious have both the intent and the power to make a credible attempt to have their ideas presented as science in schools. Their ideas are science. Bad science. Discredited science. But I would handle things differently. I was taught history of science in 9th grade. Obsolete ideas were presented in their historical context. There was no need to pretend that obsolete ideas were the product of bad people. Just the fact that science moved on. You cannot convert people who don’t want to be converted. But you can assert that some theories are more productive than others. petrushka: I was taught history of science in 9th grade. Obsolete ideas were presented in their historical context. There was no need to pretend that obsolete ideas were the product of bad people. Just the fact that science moved on. That’s fine where it will work. But I think that they tend to avoid the history of evolutionary theory winning out against creationism because that would make a lot of parents rather unhappy. It’s too bad, but they have to pay attention to the politics of teaching evolution. petrushka: I think physicists believe in something greater than themselves. What do you think that ‘greater’ thing is, and in that context what does ‘greater’ mean from the standpoint of a physicist? petrushka: Actually, it isn’t just religious people. Coercion is the problem. Your OP on the return of Lysenko’s ideas comes to mind. Coercion is certainly the most obvious evil, but I feel like misinformation can be destructive even without coercion. More time spent on fighting a rear-guard action (as Dawkins calls it) against fringe denialism means less time spent on actually doing productive research and solving problems. And from an educational standpoint, I worry that an increase in the prominence of quack-theories like Flat-Earth creates opportunities for other agendas to advance. Climate-Change denial is probably the closest competitor. The sheer amount of money at stake for the industrial and energy sectors means that they are willing to expend a great deal on lobbying and selective campaign-funding. The playbook they are using is taken directly from the tobacco industry of a generation ago. Have you read or heard of “Merchants of Doubt” by Conway and Oreskes? RoyLT: Climate-Change denial is probably the closest competitor.The sheer amount of money at stake for the industrial and energy sectors means that they are willing to expend a great deal on lobbying and selective campaign-funding.The playbook they are using is taken directly from the tobacco industry of a generation ago.Have you read or heard of “Merchants of Doubt” by Conway and Oreskes? Yes, I’ve heard of it, and good things about it. It’s kind of a different sort of matter, though, than the potential for coercion in ID, flat earthism, or ancient aliens “theorists.” I don’t think there’s been a lot of mandating of teaching of AGW denialism in schools, although certain “teach the controversy” proposals have included it as “alternative science.” I believe that most of those didn’t pass, however. I guess the thing is, such denialism is certainly dangerous, but it’s little more than simple denialism. There’s no grand ideology or “alternative” pseudoscience that should replace “mainstream science.” Selling the doubt is largely all that they need to do. So in that sense it’s not like Lysenkoism or ID, both of which sowed doubt, but also are about ideological beliefs supplanting empirical science. The major threat is that we end up with even more of an environmental disaster than we would otherwise, not that science education will be distorted by ideology, except of course where climate change is involved. We’re a long way from it, but ID could lead to theocracy, and Lysenkoism could be a part of totalitarianism (I doubt it could by itself lead to totalitarianism, however). The merchants of doubt don’t seem very coercive in practice, more guilty of distortion and fakery. They’re a real danger, but not much of a danger of coercion of the sort that petrushka mentioned. GlenDavidson: It’s kind of a different sort of matter, though, than the potential for coercion in ID, flat earthism, or ancient aliens “theorists.” I don’t think there’s been a lot of mandating of teaching of AGW denialism in schools, although certain “teach the controversy” proposals have included it as “alternative science.” I believe that most of those didn’t pass, however. Agreed, sort of. They are definitely different animals with regards to coercion. But the attempts by groups like the Heartland Institute (including a recently released textbook) to promote doubt has had some success in Conservative states. I don’t have time to hunt down the article(s) where I got that opinion from, but I think they would be easy enough to find online. It’s also worth noting that (taking Heartland as an example), most Conservative think tanks conflate the topics of Climate Change Skepticism and teaching ID/Creationism. While I agree that ID (at least in the US) is an obvious step on the path to Theocracy, I think that Climate Change denial is a part of the package.